Barbie wants to show that space is something, she is fascinated about. Her inspiration was a start for creating new looks. Check them out! 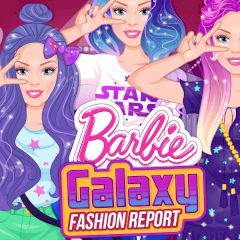 Are you ready to help Barbie in choosing the perfect outfit? Here we go, this game is exactly what you need! Just open the closet and have fun!